Published 8th April 2019 at 469 × 600 in Dogs Looking for Homes. 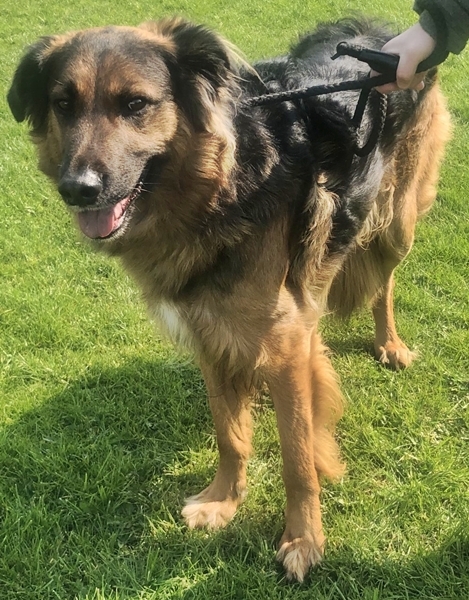 ‘Shep’ 3 year old Male German Shepherd/Collie Cross. Shep came into us as his owner sadly passed away, so unfortunately we have no background with him. Whilst he has been with us we’ve noticed he’s not overly keen on being touched very much, we appreciate this may be due to him being in a strange environment with people he is unfamiliar with, but behaviour can’t be ignored so we will be looking for a child free home for Shep and he will need to be met on more than one occasion to ensure suitability.